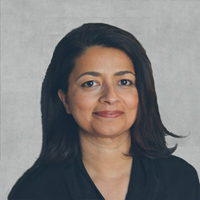 Sayu Bhojwani is the founder and president of New American Leaders. Born in India and raised in Belize, Sayu’s singularly focused on motivating immigrants and refugees to run for office. Sayu served as New York City’s first Commissioner of Immigrant Affairs and is the founder of South Asian Youth Action and The New American Leaders Project. She has a PhD in Politics and Education from Columbia University, where her research focused on immigrant political participation. Sayu is currently a Visiting Scholar at the Eagleton Institute of Politics at Rutgers University and the President of The New American Leaders Project.